If you recently went to see Michael Jackson's This Is It, you were more than likely overwhelmed by the amount of talent that went into making the picture. Stacy Walker was an integral part of that talent, involved in the choreography for the dancers in the show. Stacy has actually been involved in the industry as a choreographer for quite some time now, dating back to films like Three to Tango and Coyote Ugly, as well as television shows like Ally McBeal and Everybody Loves Raymond. 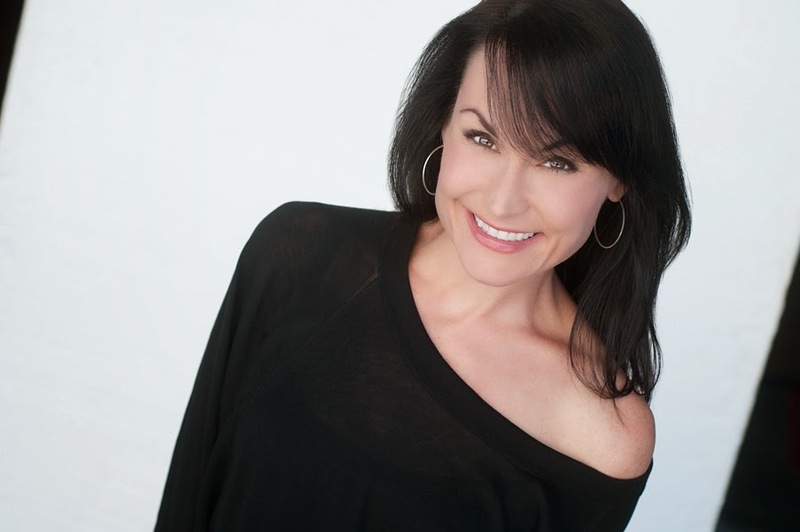 Stacy was kind enough to talk with me about her career as a choreographer in film and television, and also reminisce about some of her fondest moments working as a dancer. Jason Anders: So let's start with where you got your start as a choreographer; at what age did you start dancing, and at what point did you realize that it was something you wanted to do professionally? Stacy Walker: I started dancing when I was five- I always loved it, but didn't think it was a realistic career choice. I went to college at Florida State University and studied Communications and Psychology, graduated, got a job, and quit the first day! I've never had a job, other than dance, since. I transitioned from dancer to choreographer by 1st Assisting Travis Payne, which later lead to choreographing on my own. Travis taught me a great deal, and I love working with him. JA: What was it like working with stars like Matthew Perry, Neve Campbell, and Dylan McDermott so early in your career as an assistant choreographer for the film Three to Tango? SW: Great! I learned a lot about the challenges of teaching non-dancers how to dance. JA: You worked on one of my favorite series, Ally McBeal, as a choreographer- which episodes and scenes were you involved in? Also tell me about being involved in the production of that show. SW: I worked on this show with Travis Payne. It was a swing dance episode. 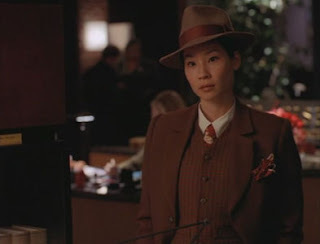 I was also Lucy Liu's dance double, but she was so great that I never had to dance for her! This was such a great show which provided a lot of work for dancers and choreographers at the time. JA: You have worked in multiple television series doing choreography such as Everybody Loves Raymond and Lizzie McGuire- tell me a little bit about your work on these shows. SW: I generally love working on television shows because they tend to be quick, fun jobs with a story line. I always prefer jobs with a story rather than just choreographing random steps. JA: What is your favorite thing about dance? SW: I'm a visual person, so dance just suits me. I love the feeling you get in your gut when you're doing choreography that suits your personal style and technical abilities. JA: Who inspires you most as a dancer? Also, what are a few of your favorite dance performances in film or television? SW: I continue to be inspired by dancers on a daily basis! I absolutely loved the dancers on This Is It- they gave me butterflies! So, so good! Obviously, Travis Payne has been an incredible friend and mentor to me. He is also one of the most gifted and versatile dancers I know. Performances I love include almost anything Bob Fosse- I loved Chicago and Sweet Charity! Smooth Criminal and Dangerous by Michael Jackson, and Mia Michaels & Tyce Diorio in So You Think You Can Dance. JA: Tell me about working on Coyote Ugly with director David McNally and the entire cast- and also, how did you become involved in film and television work? SW: I also worked on this film with Travis Payne. It was one of the most difficult jobs! We were so behind schedule that we shot 24 hours a day! Travis would take the first twelve hours, and I would take the second twelve hours! I got into television and film mainly because I live in Los Angeles, and that's what most of the work out her is. I prefer television and film to live shows because you are more able to manipulate what your audience sees with the camera. When it's live, you just see everything- from the front, 100% of the time. JA: Your first credited experience as a choreographer was for the 2007 film Epic Movie- tell me about the experience and challenges you faced taking on your first solo project, and also about the challenges and memories that followed on the film Meet the Spartans. SW: There are so many more challenges when you are working on your own, but more rewards come from rising to that challenge. I felt very prepared. I had worked in the business for so long- I knew what to do and how to do it, it was just all my responsibility now. Plus, it feels good to be a little scared sometimes. When I got the script for Meet the Spartans I had a wave of panic! One of the biggest dance sequences called for 'stepping'. I don't know how to 'step'! I got scared and had to figure it out. That experience made me appreciate feeling uncomfortable and having to step outside of the box and grow. It's so much more rewarding that way! JA: I became aware of you from seeing the new film This Is It starring Michael Jackson- this is such an extraordinary picture to be able to say you were a part of; what was it like working as a choreographer bringing what would have been the greatest live performance in history to the stage? Tell me about your time and the set, the dancers you worked with, and your fondest memories of this production. SW: I have such incredible memories of this experience and will be forever grateful to have been a part of it. It is amazing to work in an environment where everyone is at the top of their game. We had the best dancers, singers, and band. Also- the best wardrobe, lighting, and set designers. We were all so inspired and had so much fun, we rarely wanted to go home at the end of the day. The talent that surrounded me was insane! Those were some of the most incredible dancers I have ever worked with- and more importantly, some of the best people. It makes me happy to know that Michael was surrounded by loving, talented, passionate people prior to his passing. JA: What was it like working with director Kenny Ortega, and do you have a wish list of people you want to work with in your career? SW: I love Kenneth! I had worked with him before on a show in Las Vegas. He is extremely capable and incredibly charismatic! My wish is not to work with any one specific person, but to continue working on projects that inspire me- where I'm surrounded with fun, passionate, talented, capable, and kind people.